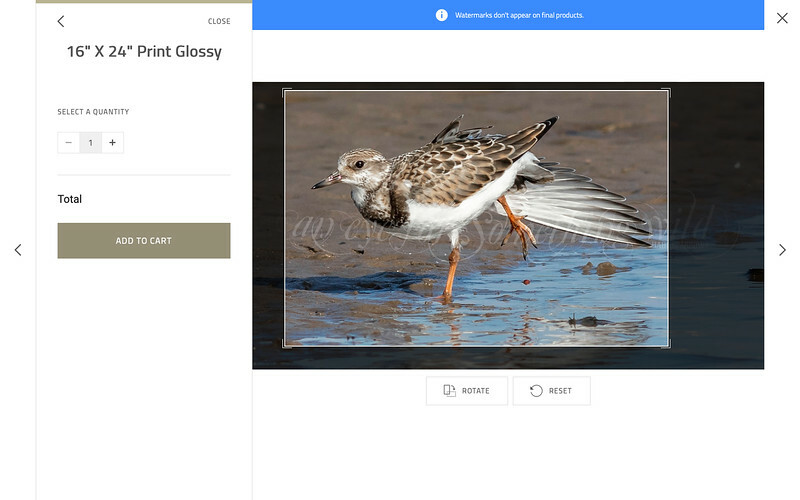 To preview printing choices or to start an order, add a photo to your cart by clicking the Buy button or the shopping cart icon and select "This Photo" from the pop-up menu. Want to add several different photos at once? 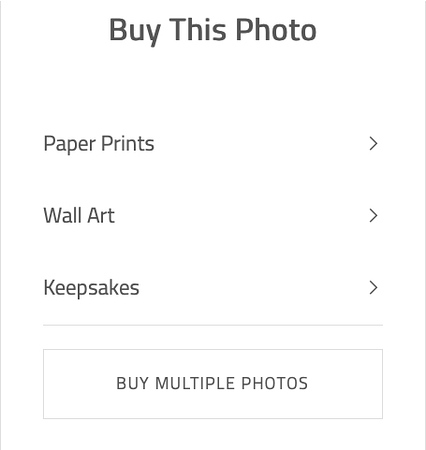 Click the Buy button and select "Photos from this Gallery". (note: the watermark "an eye for something wild" will not appear on purchases). 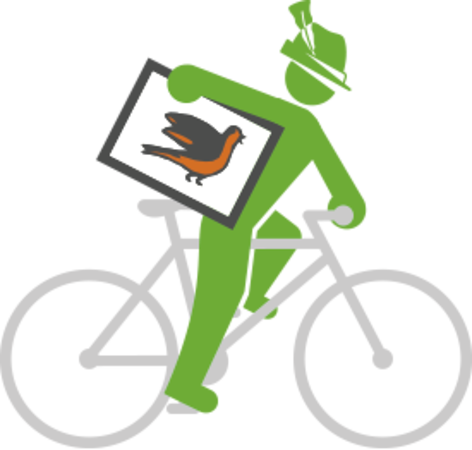 Wall Art: Includes Canvas, ThinWraps, Block Prints, Alumini, and MetalPrints. 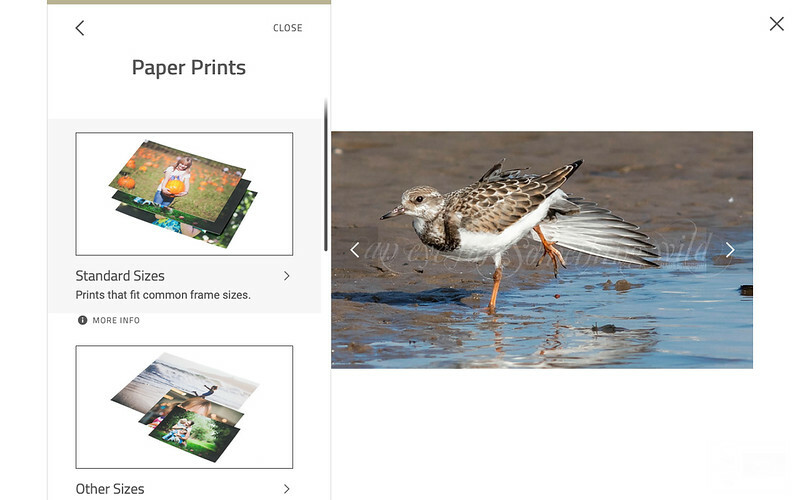 Paper Prints: select from paper finish choices Lustre, Glossy, Metallic or Giclée. Size range options from 8"x 16" up to 20" x 40" / 24" x 24". Framing available for certain sizes. 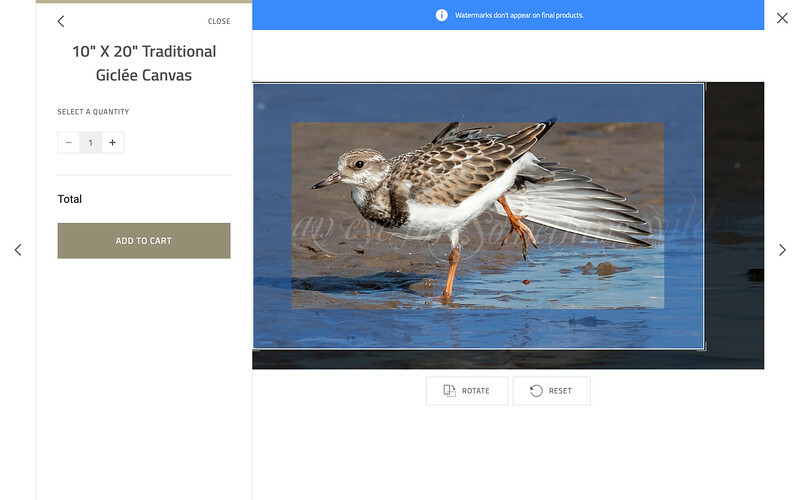 For canvas and other products that wrap a part of your print around a wooden frame or foamboard, a blue overlay will appear inside the crop lines. The highlighted center area represents what will appear on your print. Anything covered in blue represents what will be wrapped around the edges. Lustre (most popular) is a premium finish on a heavier paper. It offers the vibrant colors of glossy with the fingerprint-resistant finish of matte. Printed on Kodak Supra Endura paper. Metallic is a Rich, distinctive metallic look with a huge WOW! factor. 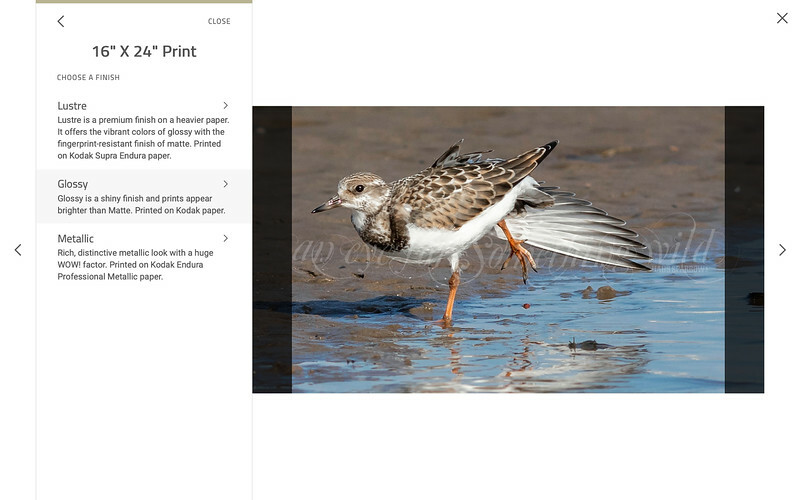 Printed on Kodak Endura Professional Metallic paper. Giclée is a process printing on premium fine art paper with a subtle texture. Finished with a protective spray. 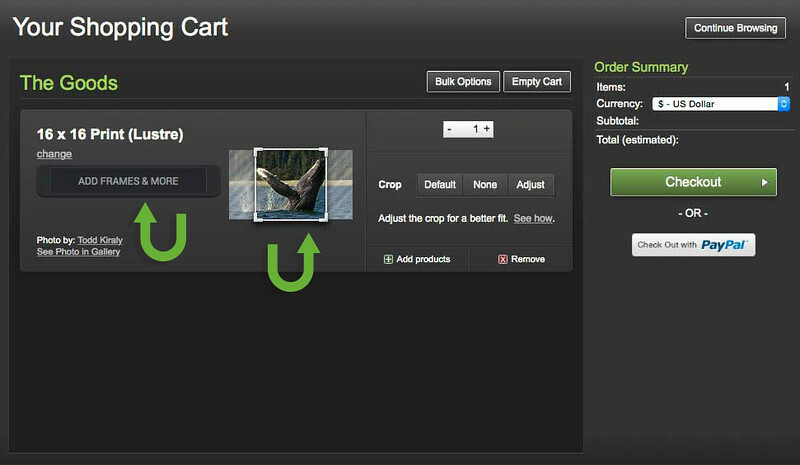 Choose None in your cart for no cropping. This will add two white borders to the print, but none of the photo is lost. You can trim the print when you get it, or cover the borders with a mat. Choose a different print size. In this case, an 10" x 18" would be a perfect fit. 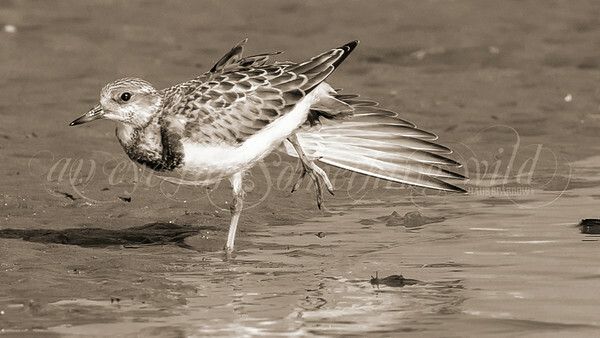 Please send a request for a sepia or black and white image using the Contact page. 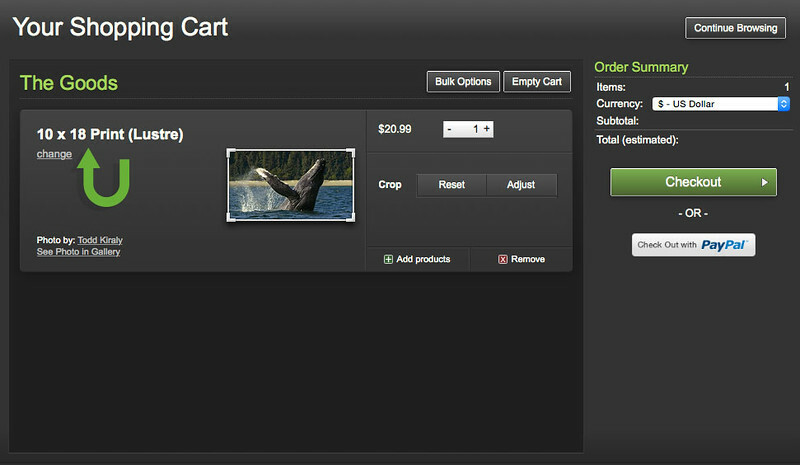 Click the Buy button or the shopping cart icon and select "Create a Card" from the pop-up menu. 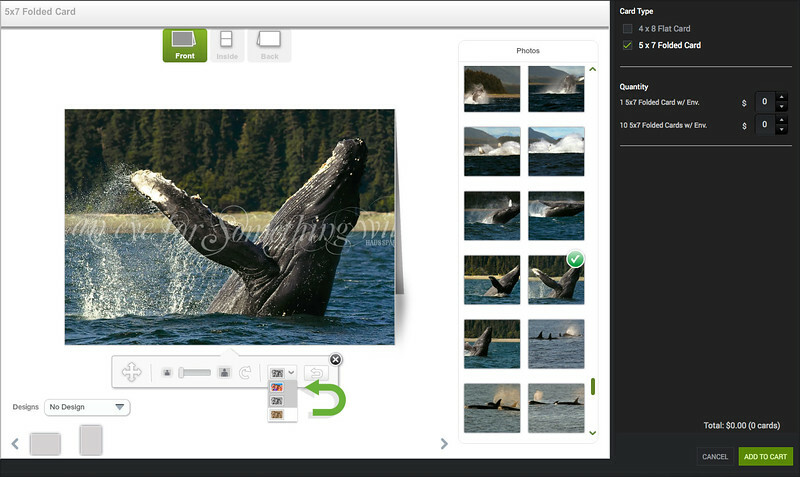 A new editing window will appear for you to make a card. 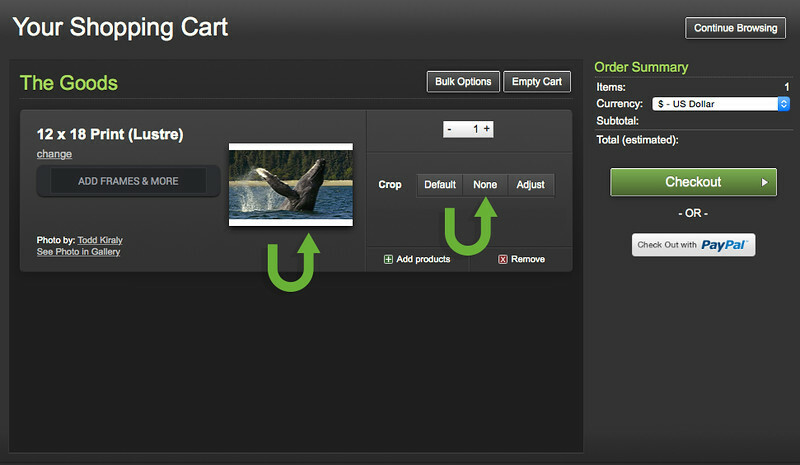 At the bottom left corner is a drop down menu offering some design templates from which you can choose. 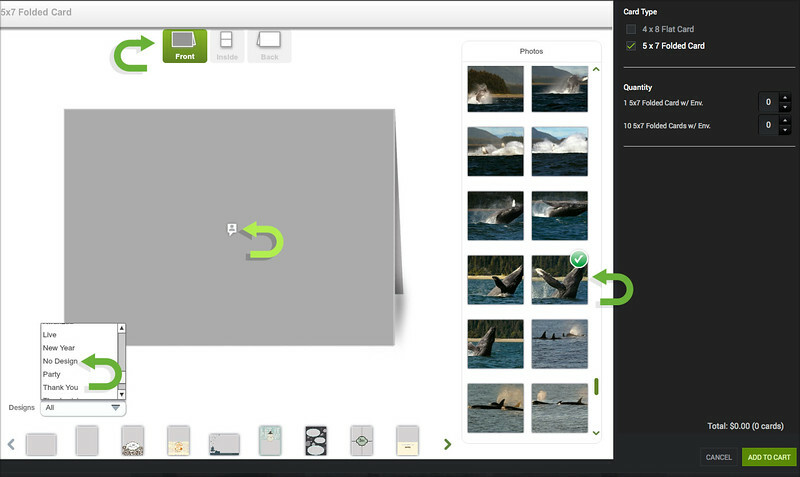 To create an image-only card, select "No Design" from the list of choices. 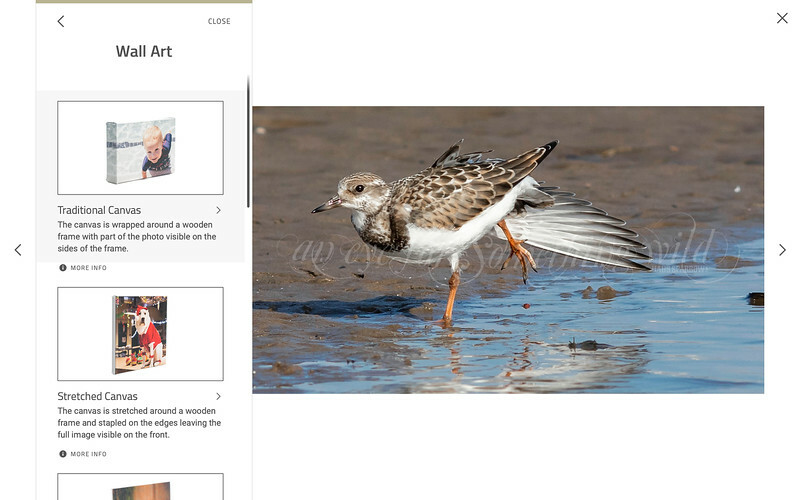 Next step is to apply the desired image by scrolling the thumbnail photos to find then click and drag that image onto the card front. 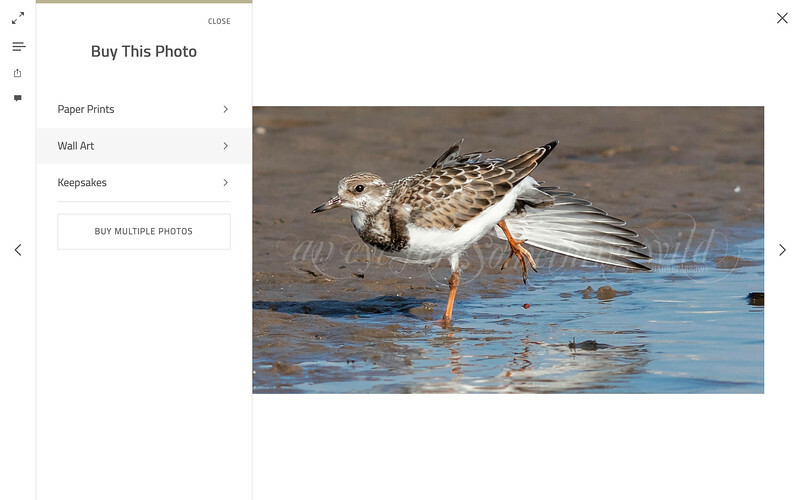 Once the image appears on the card, click once again to enable the small toolbar that will appear below the card. This toolbar allows you to move, scale, rotate, and apply special effects (convert to sepia or black and white) to the image.